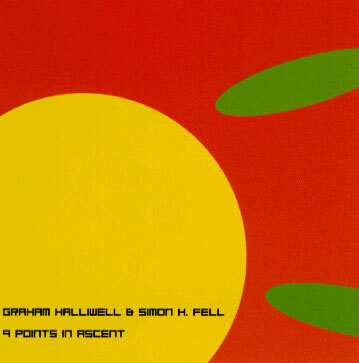 The pseudo-geometrical titles and the overall sound of this disk may recall Evan Parker, and Halliwell certainly shares some similar techniques. He is particularly fond of the soft, undulating texture which Parker creates with, say, Barry Guy, but he has some tricks of his own too. He prefers to follow what one might call a more jazzy logic in his solos, spontaneously creating lick-like phrases which make sense in context but are not typically pursued as motifs for very long. It’s good to hear Fell in such exposed space again. His work as a composer is undoubtedly important but, like his hero Charles Mingus, it’s easy to forget what a fine bass player he is. He has an undeniable legitimate technique, but prefers to pull the bass in other directions, most of which will be familiar to the improv initiate. His quick-fire chromatic rumble, however, punctuated by noise-effects with seemingly impossible fluidity, is something all of his own. Fell’s most impressive duo and trio partners tend to meet him on his home ground, which is good old-fashioned improvised interaction with the emphasis on moving the music forwards and minimising the scrabbling about which comes with the territory. These are taught, focussed dialogues on the whole, musical ideas darting from one player to the other without ever seeming to come to rest. Indeed, the very obliquity of this music will probably remind some listeners of Parker and Guy (or Barre Phillips) even if these are musicians with something quite different by way of technique and approach. All of this is a credit to Halliwell, whose temprament seems to fit with Fell’s so seemlessly.